Last Friday, we lost our cat Squeaky. Her passing was unexpected. She had stopped eating, so we took her in to the vet, and it turned out she had some kind of mass on her chest that was probably cancer. We didn't even have time to absorb the information before Squeaky passed away at the vet's office. Squeaky was born in Council Bluffs, IA in November of 2002, to a stray that my mom took in and eventually called Mama Kitty because she was pregnant. Squeaky had been our cat all that time, and we loved her very much. 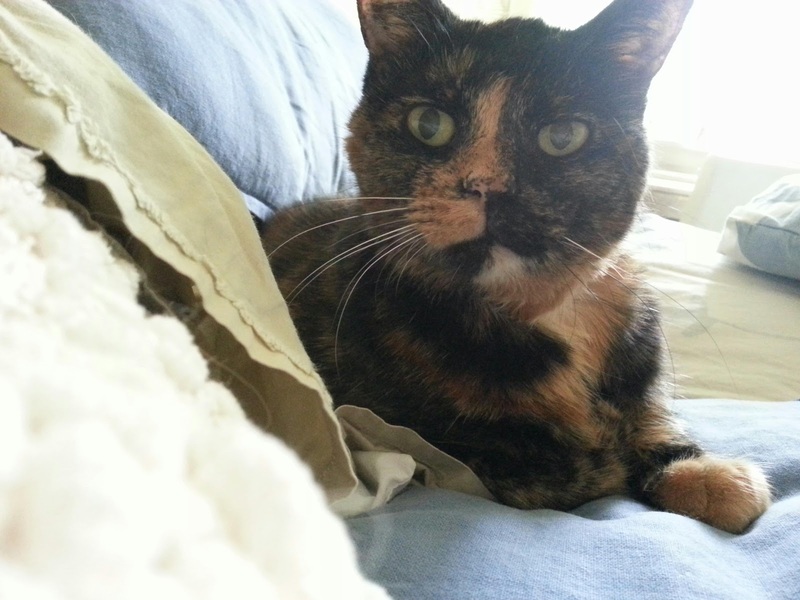 She was the quintessential tortie, all sass and mystery. Squeaky kept her own counsel until the end; we didn't even know she was sick. Rest in peace, my sweetheart.